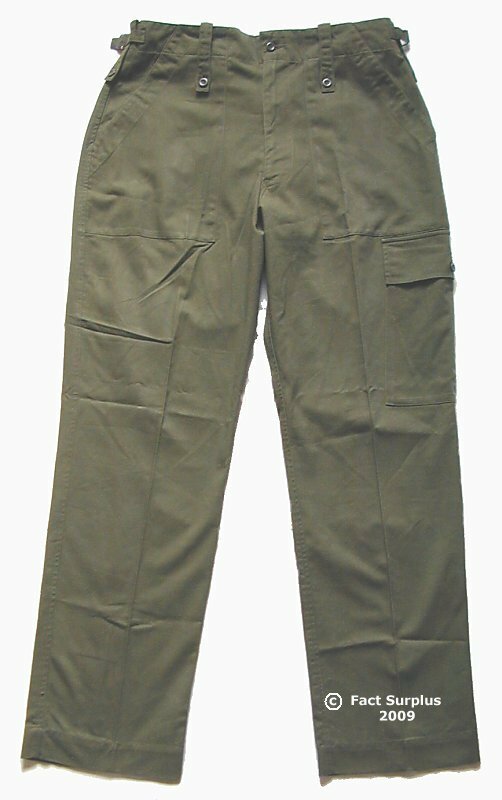 British Army Lightweight trousers. Green. Tough, quick-drying poly-cotton construction. Waist button and zip fly, waist adjusters each side. Sewn on 'patch' pockets - 2 on front, 1 at back. 3 inch buttoned down belt loops. Note. Some have 1 leg pocket and some don't. The waist adjusters on these enable you to go down about a size. So if you're a little bit over a 34" you'll need the 36s and adjust them down - similarly if you like a thick shirt tucked in it might be more comfortable with the bigger size. 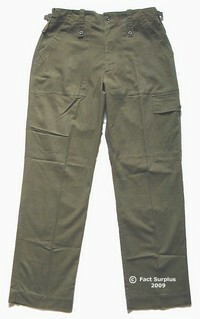 New Lightweights, Copy with leg pocket - 32" waist. 32" leg.